As people from all walks of life took to the streets across the country demanding exemplary punishment to the attackers, the academics and professionals said the attack was not an isolated incident but an attack on freethinking and secularism. He said the government should be alert against all evil forces as the attack on Prof Zafar Iqbal was not an isolated incident. Former Chairman of University Grants Commission (UGC) Professor Dr AK Azad Chowdhury condemned the attack on Dr Mohammed Zafar Iqbal and demanded exemplary punishment to the culprits. “This attack is not merely on Prof Jafar Iqbal…… Rather it is an attack on intellectuals who believe in upholding democratic values and spirit of the War of liberation,” he said and urged the government to find out the real culprits who are involved in the barbaric incident. “I have never seen a patriotic person like him. He immensely loves the country and its people. Prof Zafar Iqbal has a lot of contributions to promoting knowledge-based programmes like Math Olympic competition,” he added. Wishing his early recovery, Prof Kaykobad said the government would take adequate initiatives to root out terror activities from the country. The educationists expressed their condemnations over the heinous attack on Dr Mohammed Zafar Iqbal and demanded exemplary punishment to its perpetrators. They wished early recovery of Prof Zafar Iqbal. University Grants Commission (UGC) Chairman Professor Abdul Mannan today strongly condemned the knife attack on eminent writer and educationist Dr Mohammed Zafar Iqbal, demanding exemplary punishment to the culprits. 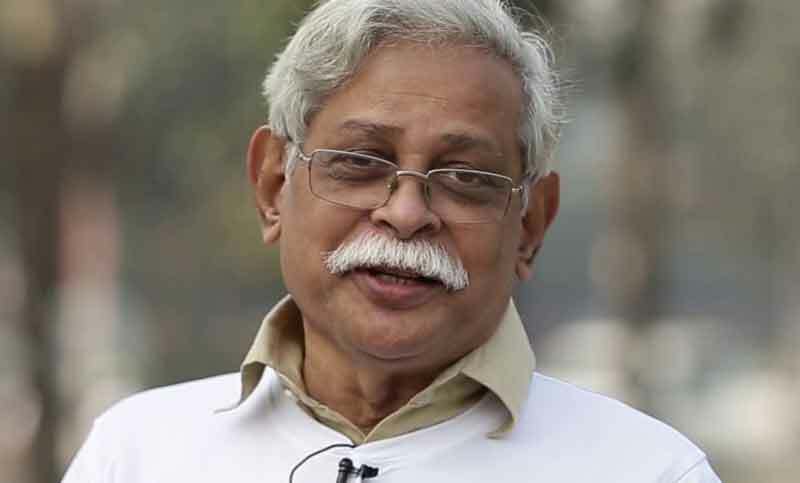 In a statement, Professor Mannan said the entire nation has been deeply shocked at the heinous attack on Zafar Iqbal. “The perpetrators must be brought to justice soon,” the UGC chairman said, demanding an exemplary punishment to the attackers involved in the heinous act. He also wished Iqbal’s early recovery. Vice Chancellor of Jahangirnagar University (JU) Professor Dr Farzana Islam today condemned the attack on renowned writer and Professor of Shahjalal University of Science and Technology (SUST), Sylhet Dr Muhammad Zafar Iqbal. The several organisation’s units of Begum Rokeya University, Rangpur (BRUR) today strongly protested the heinous attack on eminent writer and educationist Professor Dr Mohammad Zafar Iqbal and demanded immediate arrest and exemplary punishment to the perpetrators. The BRUR units of cultural organisations ‘Ranon’, “Gungun’ and ‘Udichhi Shilpi Gosthi’ jointly formed a human chain followed by book reading programme on the Sheikh Rasel square on the campus protesting the attack. In Chittagong, people from all walks of life, mostly professional bodies, teachers, students protested the attack on the eminent writer Prof Zafar Iqbal. The protesters organized processions on their respective educational institutions campuses as part of protests against the attack on Prof Muhammed Zafar Iqbal. Members of civil society, different socio-cultural organizations, students and journalists formed human chains to protest the attack in different areas in the city. In Chittagong University (CU), the students and teachers also formed a human chain in front of CU Bangabandhu Chattar demanding exemplary punishment to the culprits. Iqbal, head of the Electrical and Electronic Engineering (EEE) department and also a professor of Computer Science and Engineering department at the Shahjalal University of Science and Technology (SUST), who came under the knife attack on the university campus yesterday, is now undergoing treatment at the Dhaka Combined Military Hospital (CMH) here.